« Whew! 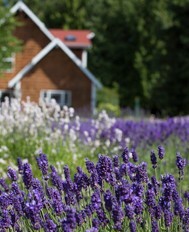 The annual lavender festival is over! Everyday now is spent harvesting helichrysum and distilling it. The yellow streaks of it in the fields are disappearing as Jose and his crew take the sickles to it. 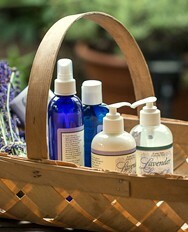 I love the earthy fragrance of it almost as much as the scent of lavender essential oil. Yesterday we were visited by accomplished pastel artist Dorisjean Colvin of Olympia, Washington and her good friend, Marsha Lippert of Shoreline. They spent the day creating some fantastic artwork of our fields. We would like to have them back more often. 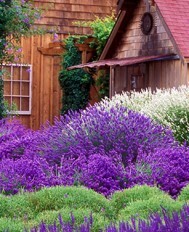 The visitors continue to come to the farm to pick their own lavender, wander through the gift shop, eat lavender ice cream, or to just generally take it easy. All the varieties of lavender are now in full bloom or past it and we are harvesting constantly, filling all of our drying barns. Today is a very special day for me as I will be marrying the love of my life, Rosalind. We are so very happy together and anticipate the future. Congratulations on your marriage. We are in Sequim at our son’s home on Diamond Point for a couple of days. Mike, you might remember us. We were camp hosts for August and September of 1990, then we went to American Camp on San Juan Island the summer of 1991, then we returned to Sequim Bay Park as hosts during the summer of 1992. If we get up this way next summer, maybe we can drop in and see you. Thank you for taking the time to put a picture of my mother in your Blog. She is a great woman who inspires everyone she goes around. Have a wonderful day and congratulations to both Rosalind and you.